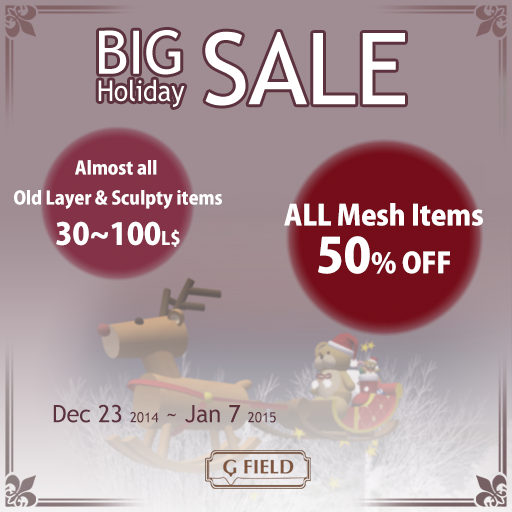 *G Field*: BIG Holiday SALE! Date: Dec 23, 2014 - Jan 7, 2015. ALL Mesh Items >> 50% OFF! Almost all old layer clothes & sculpty items >> 30~100L$.